spread the paste on your toothbrush the way it’s being done on TV that’s just for advertisement …”you children are being wasteful” she’d scream ontop of her baritone voice. It took more than a decade to finally relate with grandmas wisdom and literature on ‘waste and being wasteful’ and if you are wondering what SERVICE TO THE STARS (this content) has got to do with my grandma and waste. …We got posted to different stations. And not relenting in any situation. Our history! Our future!! Our hope and our pride!!! In reaching our daily stride…one step at a time. My only companion being a rubber rabbit. …definitely, these are trying times. This young lad learnt how to be a Man. 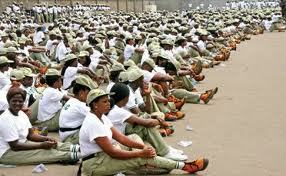 A corps members’ story of glory and fame!! The first part ‘TRIALS’ was written while I was in camp for 3weeks in Nasarawa state, the other 2 ‘TRIBULATIONS and STRENGTH’ chronicles post-camp experiences…looking back now I can see my mistakes and also my grandmas verbal warnings but the truth is the TRIALS and TRIBULATIONS have all made me find STRENGTH in life and love..I’m stronger now.